Shortly after graduating high school, Grand Rapids, Michigan songwriter Sam Cook-Parrott started Radiator Hospital as an outlet for his highly romantic and often noisy punk-bred pop songs. Inspired as much by the home-recording aesthetic and acoustic guitar twee punk of the K Records scene built around its more voluminous sects of full-band power pop, the first Radiator Hospital cassette materialized in January of 2010, Cook-Parrott recording all the instruments himself. A string of cassettes, 7" singles, and local shows followed, with performances sometimes consisting of Cook-Parrott playing solo on either ukulele or acoustic guitar, and other times backed by a more traditional loud rock band of friends made up of players from the thriving Grand Rapids D.I.Y. scene. 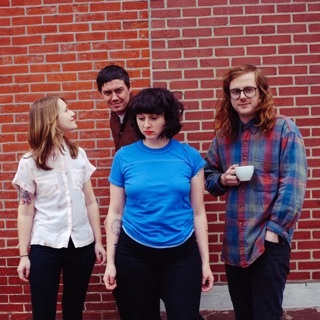 In September of 2012, after a few years of regional shows and some minimal touring, Cook-Parrott relocated to Philadelphia, moving into a house with members of Swearin' and other Philly punk bands.